Power Outages Happen! 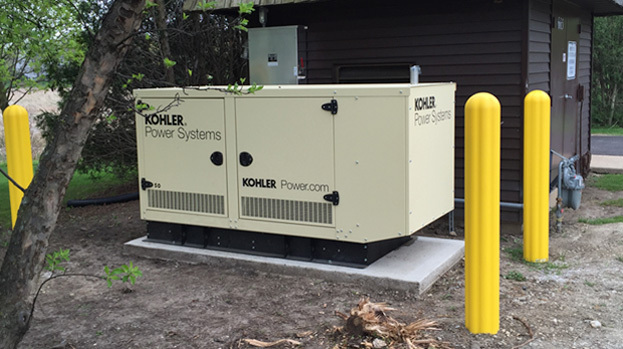 You can't prevent them but you CAN be prepared with an Emergency back-up Power Generator. Protect your Business, Home, and Family from the damaging results. We make it easy from start to finish! Consider an automatic back-up power source for emergencies. We sell and install the most dependable generators in the market. We service & repair all makes and models of Residential and Commercial generators. Alternate Power has the experience to answer your questions and help you size the right generator to suit your needs. We’ve been helping home and business owners with reliable power solutions in the greater Chicagoland and Southern Wisconsin area for over 19 years from our office/warehouse location in McHenry, IL. We also provide yearly maintenance to keep generators running at their prime. When it comes to your investment, you want a company with experience that does not cut corners on installation and carries the best names in the industry.